Forget Pretty in Pink Princess Barbie—tech savvy users can now turn their dolls into the most badass warriors. 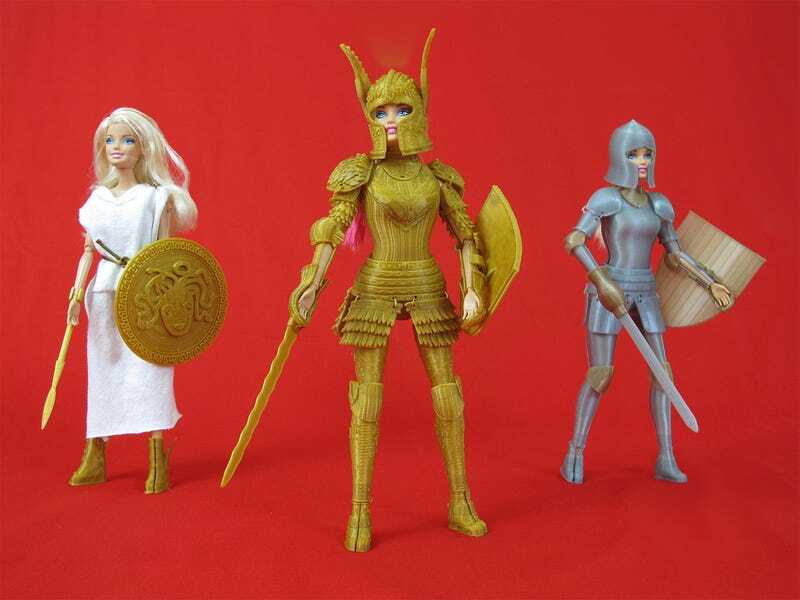 According to The Independent, designer Jim Rodda is offering three unique sets of what he called "Barbie-compatible 3D printed medieval armor" to give your Barbie a whole new look. Barbie fans can download the models that turn the doll into a dragon slayer for $30 (£17) from Rodda's website - although they'll also need to find a 3D printer to actually make them. The trio of outfits (there's the Athena, Parade Armour and Plate Armour) were created after a successful crowd-funding campaign, with Rodda saying he created the armour after a failed attempt to make "My Little Pony-compatible glitter cannons". "Barbie has had many occupations over her long and storied career," writes Rada on the project's Kickstarter page. "Astronaut, veterinarian, pinup, and princess more times than I can count. She has not, to my knowledge, cosplayed as Brienne of Tarth until now." Rodda, who explained his designs on Reddit, said "the original idea was to make spring-loaded My Little Pony-compatible glitter cannons. I had some trouble engineering the spring so I gave it up after a few prototypes." Spring-loaded My Little Pony cannons sounds AWESOME, my six year old self just told me. Learn more about Rodda's project and how to get the designs for yourself here.